Did you know that 13.2% of people in Guelph suffer from food insecurity? That’s where the North End Harvest Market comes in. The NEHM has been running since July 2014 through donations, personal gifts, and some small community grants. 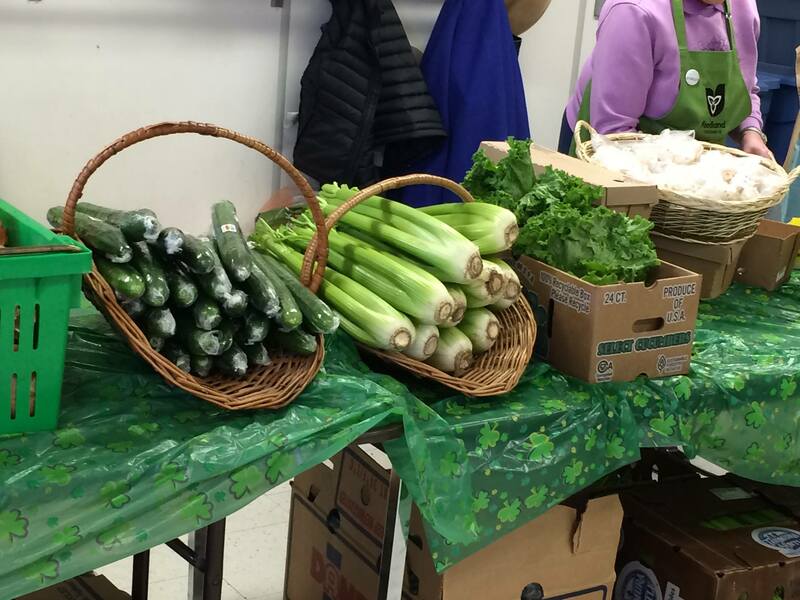 The Market is a FREE fresh produce market for those struggling to put food on their plates, but it’s more than just food distribution. It is a place for advocacy, friendship, support, and connections to community resources. It has become a place for people to feel safe, to laugh and enjoy each others company in a non-judgmental, supporting, and diverse environment. 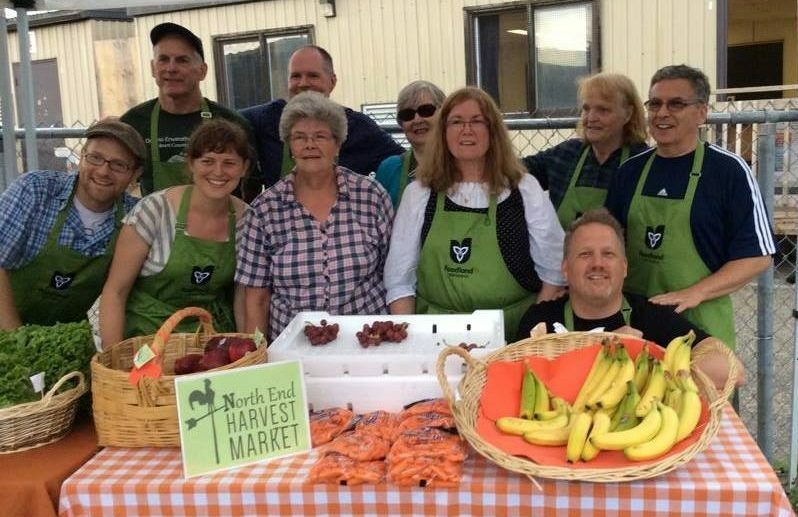 None of this would have been possible if Guelph United Ministries had not stepped up to provide visionary and substantial funding to start the market and to sustain it through the early years. Through their support the market was able to get off the ground and to build awareness and support. THANK YOU GUM on behalf of all of the volunteers and people who have attended the market. Your support has made a huge difference in the lives of so many. 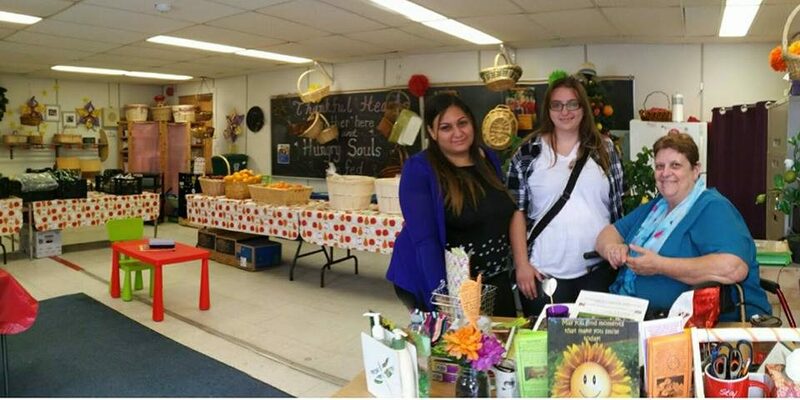 The NEHM is a program of the GNSC supported by a passionate and diverse team consisting of a Market Manager, Chalmers Community Services, Upper Grand District School Board, Guelph United Ministries, Trinity United Church, North Riverside Neighbourhood Group, Immigrant Services, the Guelph Family Health Team, and First Nations, Metis, and Inuit Community. Together we have built a welcoming and powerful program that wants to make sure that everyone in Guelph has access to fresh and healthy food. Each week the marketing shares $600.00 worth of fresh food to feed the 250 people that attend. They come and shop to select the food they want to take home. We don’t ask them any questions, we just welcome them in. This is where you come in. We are looking for weekly sponsors to support the market. We are asking you to “Adopt A Week”. Keep reading to see how easy it is to make a difference. For $600.00, you can adopt one week of the NEHM. You will be recognized on our website, social media, and on-site at the market. If you like, we will bring our awesome giant cheque to you and snap a picture with you and your wonderful donation. The GNSC is a registered charity so we can offer a charitable receipt for your donation. Here are 4 ways to make your donation. 1. We will come and pick up your cheque. That way we can thank you in person and get a picture of you and the giant cheque! 4. You can donate online at https://www.canadahelps.org/en/charities/guelph-neighbourhood-support-coalition. When you are making a donation, you will able to choose the NEHM as one of the donating options. If you donate online, you will be issued an electronic charitable receipt. Cheques must be made out to the Guelph Neighbourhood Support Coalition. Please note that charitable receipts can only be made out to the name on the cheque. Thank you for your consideration and support! Please share this post with any that you think might be interest!